Join us on May 18th for the third installation of our series of "Parable Field Trips" at First Presbyterian Church! Rev. Beilke will host us in this reflection on the famous metaphor for Christ at her home in Stuyvesant and we will walk together to her neighbor's sheep pasture to take part in sheering of the herd. With the purpose of partaking in a more fully embodied experience of the parables, we hope to share a more intimate glimpse in the worldview of that the 1st century agrarian audience of the bible. Hope to have you join us! Every Sunday through the end of June, we will be studying Paul's letter to the Corinthians before worship using the Lectio Divina method. An ancient way of reading and hearing scripture, Lectio Divina comes from the Roman Catholic tradition and involves reading passages 3 times with silence in between to reflect and feel the spirit's movement. During this time, we invite you to pray, to read the context of the passage, to write, or to use provided materials to make art since God is able to speak to us through all sorts of media! Bible study will be suspended during July and August when worship is held at 10am. Hope to have you join us! 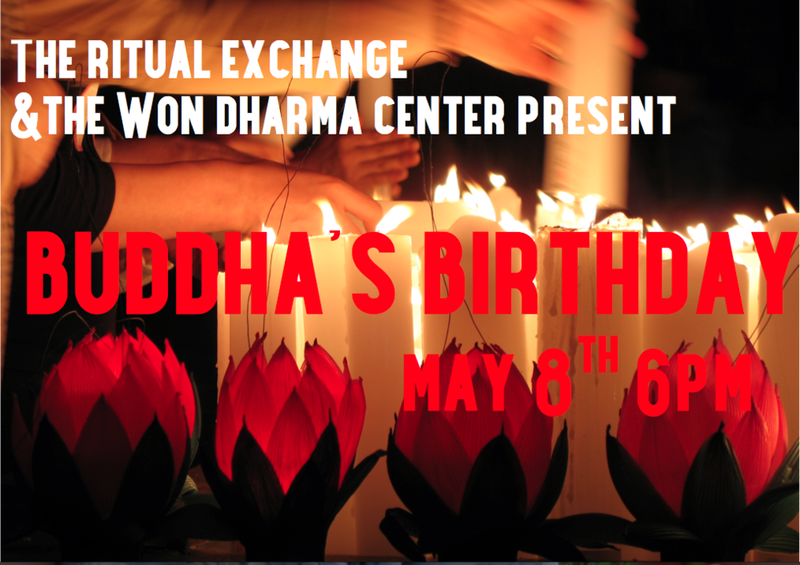 The Ritual Exchange (a ministry of First Presbyterian Church) in partnership with the Won Dharma Center invite you to celebrate Dharmachakriya or "Buddha's Birthday" on May 8th at 6pm at Stable Gate Farm and Winery in Castleton, NY. Vesak, also known as Buddha Purnima & Buddha Day is a holiday traditionally observed by Buddhists all over the world. While, the traditional date is May 29th, for this year, we will hold it sooner. It is a commemoration of the Buddha's birth, enlightenment and death. The evening's ritual, presented by our friends at the Won Dharma Center, will focus on the Lotus flower which symbolizes the Buddha as he teaches how to be in the world, but not defiled by the world like a lotus in a filthy pond. The message will draw parallels from other faith traditions such as Christianity and Islam. Its with the utmost awe and reverence that we celebrate Shakyamuni Buddhas BIRTHDAY!!! We are so excited to welcome our new community partner WGXC 90.7FM now broadcasting live from First Presbyterian Church at 369 Warren St in Hudson! To all employees, programmers, and guests of the station we hope you feel at home here with us! Beautiful photos of our Interfaith Hour of Prayer for Dreamers last Sunday at First Presbyterian Church courtesy of Left In Focus Photography. We give thanks to Juan Sanchez for his music, Joel Merker and Karen Levine from the Chatham Synagogue, Father Gary Gelfenbien of St. James Parish, Revs. Monshin Paul Naamon, and Shumon Tamami Naamon, Tendai Buddhist Institute, Payne African Methodist Episcopal Church Choir, Rev. Eileen Weglarz, Christ Church Episcopal, Shayka Sheila Foraker and Carol Taylor, AQRT Sufi Order, Pastor Dion Marquit, Grace United Methodist Church, Father Marcelino Mejicano, Centro Christiano Renacer and Jabin Ahmed of the Hudson Muslim Youth. What could be more powerful than all these faiths praying in harmony with one another? May our voices and supplications be heard!